The husband of Leslie Cockburn, a Democratic congressional candidate in Virginia, posted a since-deleted tweet in which he mocked the military service of his wife's Republican opponent. Andrew Cockburn, whose wife is running against Denver Riggleman in Virginia's 5th Congressional District, questioned the impact of Riggleman's service. Cockburn, responding to a tweet from Riggleman about his service, tweeted, "‘Risk his life.' How? Snorkeling off Diego Garcia? We need specifics." During a debate Monday night, Leslie Cockburn also went after Riggleman's military service on the grounds that he was 3,000 miles away from Afghanistan at Naval Support Facility Diego Garcia while he worked on plans for bombing missions, apparently implying he played a minor role. 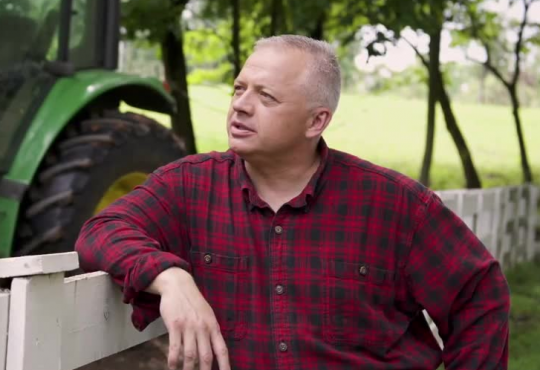 Riggleman responded by saying he was happy to work with those on the ground in Afghanistan on the airstrikes and doesn’t need to defend his service. "We worked with the joint forward air controllers in Afghanistan … Working with the JFACs, working with stopping fratricide and friendly fire, I’m not going to defend my military service," he said. "Those JFAC strikes on the caves? Yeah, that was us. But I do appreciate the try," Riggleman concluded. Riggleman's tweet that prompted Cockburn's response was about criticism Leslie Cockburn received for her debate remarks. Leslie Cockburn also received pushback for claiming that the initial air raids on Afghanistan were unsuccessful, the Washington Post reported. Retired Lt. Gen. David Deptula, who served as Director of the Combined Air Operations Center for Operation Enduring Freedom, called those claims "absolute nonsense." "People should be very, very careful when they make statements like that," Deptula continued. "They don't know the particulars of the individual mission sets. Some of the initial stages were to cut the runways to prevent any Taliban fighter aircraft from taking off. Those missions were extraordinarily successful." An Air Force veteran, Riggleman served in Operation Enduring Freedom. As chief of intelligence for the 34th Expeditionary Bomb Squadron, he and his team planned the first bombing runs on Afghanistan after the 9/11 attacks. This entry was posted in Politics and tagged 2018 Election, Virginia. Bookmark the permalink.